When I was a classroom teacher, I read aloud to my students every day. I was purposeful in my read aloud choices. 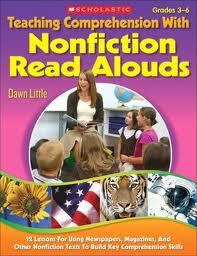 Sometimes the books chosen were specific to our curriculum, sometimes the books were just to hear a read aloud. At the beginning of the year, I liked to read aloud books that would help us gel as a class, to build our community. Click on the link to find a list of books that are great mentor texts to help build community. Here are three books that publish in the next few weeks that you may want to consider as read alouds as you build your community at the beginning of the school year. Friends come in all shapes and sizes. Friends shape who we are. Using her traditional abstract style, Krouse Rosenthal creates an uplifting celebration of friendship in her latest collaboration with Tom Lichtenheld. Based on the story of Goddess Aphrodite and the Golden Apple, Prince Paris offers to trade the apple with Hera, Athena, or Aphrodite. When Aphrodite wins the trade, she knows she should share with her friends, but will she? This is a mythology-inspired modern-day parable for our youngest learners in this board book tale and even includes a summary of the original myth of Aphrodite and the Golden Apple. Everyone loves Bacon. Egg loves Bacon. Lettuce loves Bacon. Waffle loves Bacon. Pretty much everyone thinks Bacon is the best (don’t you?). Bacon is a modern day version of a superhero! But when all that fame goes to his head, he forgets the important things in life, like friendship and family. Will Bacon learn the meaning of friendship? Or will he get fried? Disclosure: I received copies of these books from the publisher for review.